Norm MacDonald Replaces Gabe Kaplan on "High Stakes Poker"
According to a GSN press release that was circulated earlier today, Gabe Kaplan is no longer the host of "High Stakes Poker". His replacement? None other than Norm MacDonald, the former cast member of "Saturday Night Live" who has appeared in movies such as "Dirty Work" and "Billy Madison". MacDonald will be the new host of "High Stakes Poker" when the seventh season begins on Saturday, February 26th. According to the GSN press release, Kara Scott will "co-host High Stakes Poker with MacDonald, providing illuminating behind-the-scenes reports, revealing player interviews and expert poker analysis." This will be Scott's second year working as a co-host on the show. 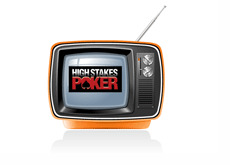 The seventh season of "High Stakes Poker" is also available in 3D for DIRECTV customers with 3D-enabled televisions. 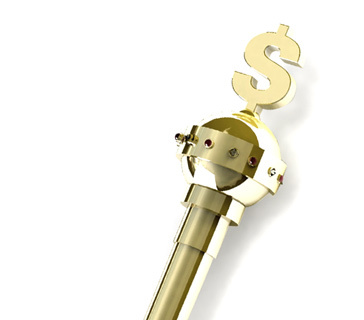 "High Stakes Poker" has undergone some major changes over the past few years. Former co-host A.J. Benza was let go. Kara Scott was brought in. Full Tilt Poker decided to hold their players off of the show. And now, Gabe Kaplan has been replaced by Norm MacDonald. Gabe Kaplan was certainly one of the best parts of "High Stakes Poker", and he will definitely be missed. Kaplan's humor complemented his thorough knowledge of the game of poker perfectly. I can't imagine MacDonald providing much in the way of insightful commentary, but maybe I'll be wrong. I think that it's safe to say that "High Stakes Poker" has officially "jumped the shark"..